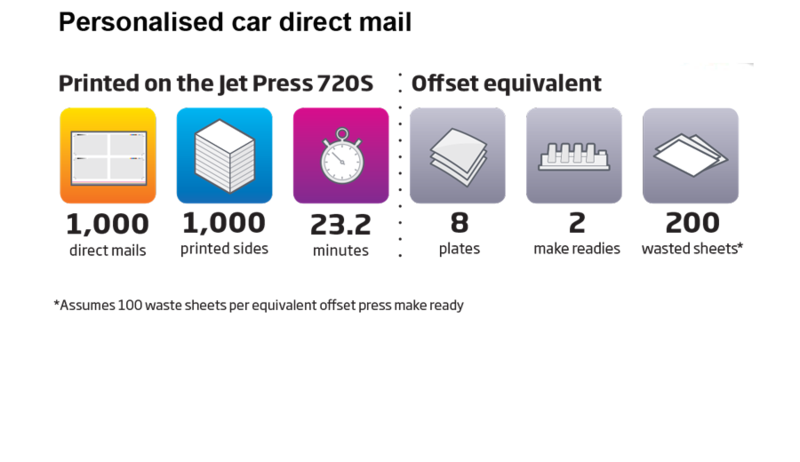 The Jet Press 720S features a new barcode system and high powered data servers to print every page on the fly, guaranteeing front and back page matching every time. 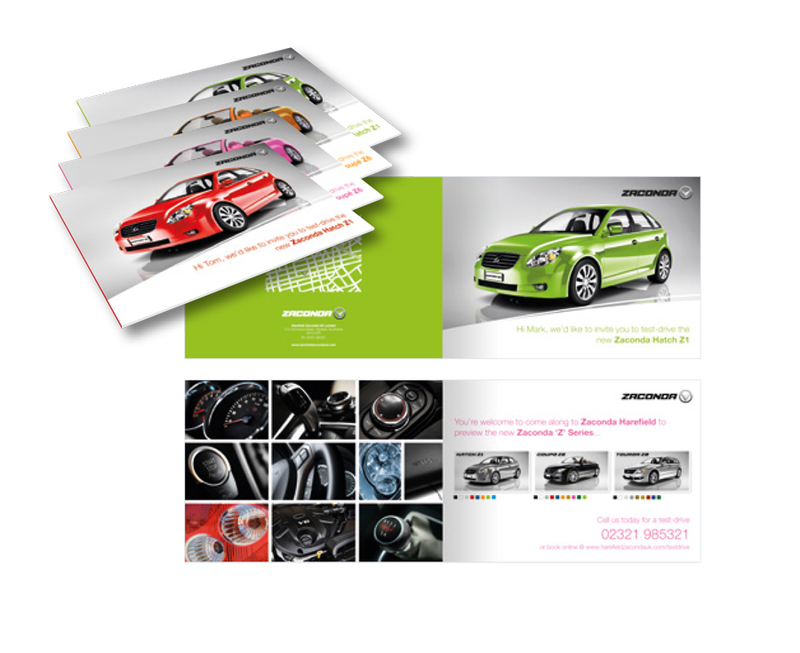 This particular piece of direct mail is a simple 4 page, A4 landscape brochure that demonstrates the ability of the Jet Press 720S to handle variable data. The job features a personalised front cover, with variable text and image content on the inside spread tailored to that person. A run length of 1000 copies was printed 2 up on a B2 sheet in just over 23 minutes.